Let’s move onto the sophomore class who is putting on a show thus far into the 2019 season! 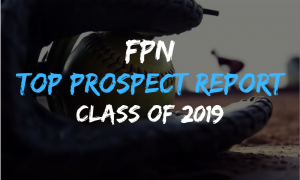 This class is putting up big numbers at the plate and possesses some of the nation’s top hitters. 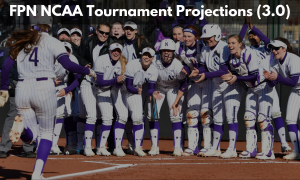 **, bold, and italicized names represent those athletes who we would expect to see or think could be selected to the NFCA National Player of the Year list that comes out in coming weeks. We do our best to make this the most encompassing list including schools from across the country but did we miss someone we should be watching? 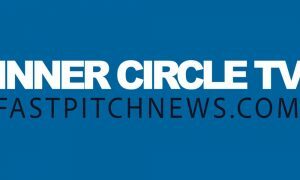 Let us know at support@fastpitchnews.com – Please note, if a program’s stats are not readily listed they may be excluded. Also, pitchers must have thrown at least 40.0 innings thus far. The redshirt sophomore is hitting .384 for UCLA with 28 RBIs, 13 doubles, four home runs and has nabbed 12 walks. Another arm fanning pitchers left and right, Dubois has 98.2 innings of work under her belt and has struck out 107 opponents. She is 11-6 in 21 apperances. Leading the Redhawks, Choate is hitting .423 with 18 RBIs, two doubles, three triples, two home runs, and 14 walks for an even .500 on-base percentage. Ivey is leading the Ramblers in RBIs knocking in 27 so far this season. She is hitting .400 with five doubles and homeruns. She has also been walked 10 times for a .478 on-base percentage. Aguon is shining hitting .392 with nine doubles, two home runs, 10 RBIs, and nine walks. Leading the team with 20 RBIs, Stone has hit nine doubles, four home runs, and collected 16 walks en route to a .392 average and .505 on-base percentage. The upper half of the Georgia Tech lineup is performing strongly for the 22-13 Jackets. Roper is hitting .448 with 14 doubles, 28 RBIs, and 18 walks. Holding a .352 batting average with 14 scored runs, three home runs, 10 RBIs, and an impressive 17 walks Russell is always a threat to reach base with her .532 on-base percentage. 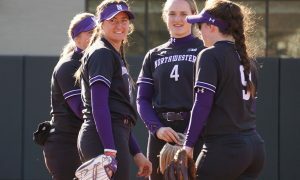 Hitting .397 Vire has scored 14 runs while recording four doubles, one triple, five RBIs, four walks, and only four strike outs in 68 at-bats. 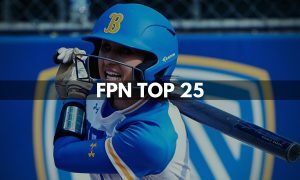 Perez is second on the Bruins’ squad in average hitting .417 with 27 RBIs and scoring 38 runs. Recently named FPN National Pitcher of the Week, Yanez is playing well through 103 innings of work. She has a 1.09 ERA, is 16-1 in 19 apperances, has only allowed 16 earned runs while striking out 147 batters. Nance is Seattle’s ace through 93 innings with a 1.43 ERA, a 11-5 record, with 61 strike outs. A transfer to the Razorbacks, Gibson is another sophomore who didn’t miss a beat getting right back to it this season. Gibson leads the team with 32 RBIs and a .400 batting-average. She has six doubles, one triple, seven home runs, and eight walks. Previously third nationally in batting average she is hitting .492 across 58 ABs, she’s secured 21 RBIs for Hartford with three doubles, two triples, and four homeruns. Leading the Hokies in average, Trull is hitting .460 with seven doubles, three triples, four home runs, 26 RBIs, 13 walks, and has scored 25 times for the high flying Virigina Tech offense. Hitting .394 for the Noles, FSU has a great consistent presence in Mason who has eight doubles, six home runs, 36 RBIs, and 17 walks. She currently holds a .482 on-base percentage. Edmoundson has helped anchor the red hot Texas Tech Red Raiders this season throwing 73.1 innings with a 1.81 ERA and 83 strike outs. One half of Washington’s deadily one-two punch, Plain has through 84.1 innings and struck out 117 batters. She has only issued 22 walks and is 10-1 with a 1.33 ERA. Steady as can be in the circle, Corrick holds a 1.14 ERA over 92.0 innings with an impressive 120 strike outs while only allowed 21 walks. Not a bad stat line in the least! Macha is leading the Bronocs pitching staff in innings (70) and ERA (1.90) and holds a 8-3 record with 42 strike outs over those innings. A big part of Wisconsin’s early success has been Hestekin who has thrown 76.2 innings and posted a 1.64 ERA. She has struck out 56 while holding a record of 11-3 in 18 appereances. .341 batting average, seven doubles, one triple, two home runs, 17 RBIs, and 15 walks. File is contributing in big ways to the JMU lineup hitting .385 with 20 RBIs, five doubles, three home runs, and eight walks. McEwen leads the team scoring 26 runs while racking up 17 RBIs of her own. She is hitting .386 with seven doubles, one triple and home run, 10 walks and only seven strike outs in 101 at-bats. A lot of praise has been sent to the Oregon State transfer Hope Brandner who has come into Minnesota and picked right back up where she left off her impressive freshman season. She has cooled a bit but is still hitting .323 with seven doubles, seven home runs, 33 RBIs, and 14 walks. 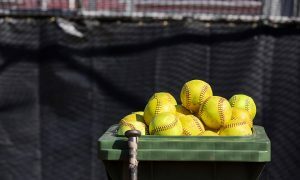 Jana Johns is another athlete who is rarely off base (.555) with a .407 average she’s hit seven doubles, two triples, six home runs, 25 RBIs, and 12 walks. In our pre-season breakdown of the Big 12 we said that the returns were going to be the key to the depth of Texas’ success this season and Jefferson has been as solid and consistent as possible. She is leading the Longhorns hitting .454, scoring 26 runs, notching 16 RBIs, and has only struck out once this season. Next up for George Washington is Cone who’s had 109 at-bats with 45 hits (.413 average) with eight doubles, 12 RBIs, and 13 walks. Another pitcher to crack 100 innings so far, Jillian holds a higher ERA at 2.45 but has struck out an impressive 140 batters. Beasley-Polko’s thrown 126.1 innings for Coastal Carolina and struck out an impressive 111 batters. While she does hold a 2.05 ERA that is a ton of innings and she is 15-6 through 25 apperances. Leading the charge for a strong offensive program in Ohio, Yun holds a .419 batting average with 11 doubles, 11 home runs, and 25 RBIs. Another steady table setter, Jensen is hitting .392 with four doubles, one home run, and six RBIs. Tow is hitting .388 scoring 40 runs with 10 doubles, one triple, seven home runs, 36 RBIs and has been walked an insane 39 times for an on-base percentage of .575. Her OPS is also currently 1.351. Hackbarth lives up to her last name and takes big ol’ “hacks”! After a weekend where she hit five home runs she leads the Sundevils with a .449 ERA with an unbelievable stat line including scoring 49 runs, 14 doubles, two triples, 11 home runs, 40 RBIs, and 16 walks. DiMeo is having an insane start to the season hitting .494 in 87 Abs. She has nine doubles, 12 home runs, and 41 RBIs which is good for nearly a quarter of her team’s runs. DiMeo also has 14 walks while only striking out six times. Hitting .471 through 16 games she is slugging .784 with five doubles, three triples, three home runs and six walks. Marybeth Olson has done well so far this season and is much improved from her freshman campaign. She has already thrown more innings at this point than in the entire 2018 season and holds a 1.91 ERA over 70.2 innings with 73 strike outs. Leading her team and checking in at fifth in the nation, Ortega is hitting .477 with 16 RBIs and eight doubles. 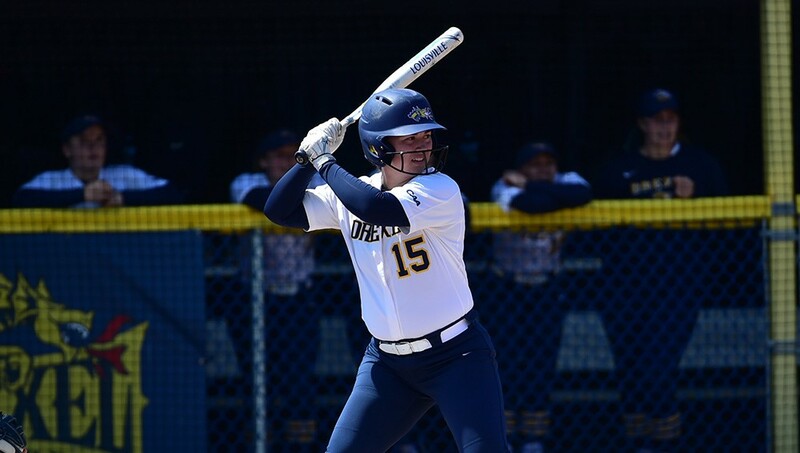 One of the nation’s best pitchers during her freshman season Beaubien has had a slightly more rocky year but is still strong for Michigan. 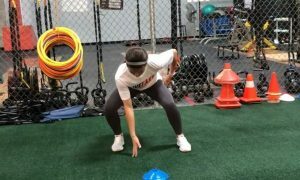 She holds a 11-3 record with a 1.72 ERA and has already struck out 111 batters against some of the country’s top teams. Fairfield is a good hitting squad and Rubin ranks third on the team in average hitting .403. She has record three doubles, one home run, 14 RBIs, and six walks. Helping to provide some relief in the circle to Kelly Barnhill, Lugo has thrown 59.2 innings and recorded 80 strike outs en route to a 1.88 ERA. 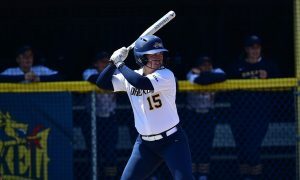 Through 96 at-bats, Clark has racked up 41 hits (.427 average) with two doubles and triples with 15 RBIs and nine walks. A tranfer to Villinova, Rauch is leading the team offensively hitting .393 with six doubles, three triples, nine home runs, 22 walks, and 28 RBIs. She also holds a 1.349 OPS. Rauch has been an unstoppable force through her first two seasons. Picking up right where she left off, Wise is hitting .378 with 16 RBIs, nine doubles, and 11 walks. She has also scored 18 times. Another .400 hitter in the sophomore class, Miller has five doubles, one triple, 12 RBIs and is hitting .402. Hitting .462 with four RBIs and only four strike outs, Fabian is a great and very consistent tablesetter for UC Santa Barbara. This Tiger should be considered a front runner for the SEC Player of the Year and is hitting .463 with 11 doubles and 13 home runs. In addition, she leads LSU with 24 walks for a .593 on-base percentage. 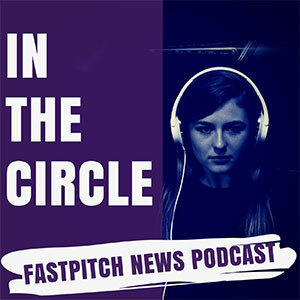 She also contributes in the circle holding a 2.10 ERA through 60 innings with a team leading 42 strike outs. George Washington’s top hitter behind Lange is Sidney Bloomfield who is hitting .416 in 77 at-bats. In 114 at-bats Lange holds a .439 batting average with 50 hits, eight doubles, four triples, a home run, and 19 RBIs. Another powerful staple in the lineup for Tech, Webb is hitting .337 scoring 23 times, knocking six doubles, 20 RBIs, and 11 walks. Another pitcher taking on a large chunk of the pitching duties, Dickerson is 12-4 through 23 apperances and has worked 98.1 innings. She holds a 1.85 ERA with 81 strike outs. Bolan is hitting .391 with a team leading 28 RBIs, three doubles, eight home runs, and 14 walks. Leading Radford with a sparkling .400 average, Fisher has scored 20 times while hitting six doubles, two home runs, notching 13 RBIs, and six walks. In 67 Abs, Grobman has three doubles, one triple, three home runs and 16 RBIs which accounts for 23.8% of Yale’s RBIs. 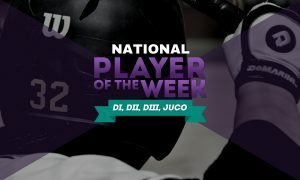 Holding a team leading 19 RBIs, Jascoe has collected six doubles, six home runs, three walks, and scored 10 runs en route to a .397 batting average. A key part of an offensive that is hitting .363 collectively, Edwards adds a .397 batting average into the mix with three doubles, eight home runs, and 25 RBIs. The “young guns” are leading the way for the Yellow Jacket offense including Awald who is hitting .307 with eight doubles, seven homeruns, and 23 walks for an on-base percentage of .450. GCU has a pretty balanced pitching staff that splits innings but Morrison has been especially good for the Lopes with a 1.95 ERA over 61 innings. 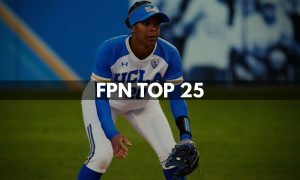 While she isn’t a big strike out pitcher she has only allowed nine walks and was the winning pitcher when GCU upsetting Florida State and broken their unbeaten streak.